Mr. Joe A. Rivas, M.S. 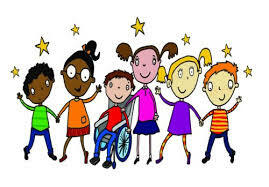 This a set of stories written to raise awareness about children with disabilities. My stories will be about children's ability to develop relationships with other kids in the new town of Curb-cut-ville. Willy, the child with a disability, will be the main character throughout the series. Willy, and his dog Aspen, embark on many journies in the town of Curb-cut-ville. 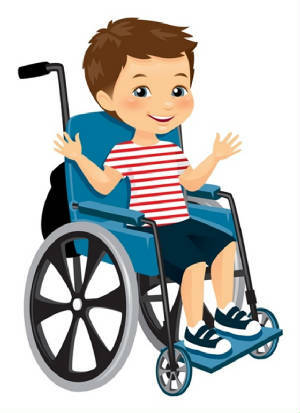 These stories provide children from age 7 and up, of all cultures, and conditions unique perspectives about issues related to multiple disabilities/illnesses. The main focus of my stories will be to encourage readers to become aware of multiple conditions in positive situations. My Willy stories will be story-driven to increase awareness about many types of impairments with less focus on labels and greater emphasis on strengths, talents, and abilities. These stories will include emphasis on community/school inclusion, access integration, and positive behavoral supports in light-hearted situations with humorous dialog between characters. I am hoping to get these stories illustrated and published in the future. My readers can read these stories by clicking on the link below. "Willy, Aspen, and The Missing Tuna-Fish Sandwich"
"Willy and The Cat in The Tree"
"Willy and The Good Goblin"
"Willy and the Thanksgiving Play"
"Willy Goes to the Christmas Carnival"
"Willy and the School Valentine's Party"
"Willy and the New School Bullies"
Additional Titles Will Be Added In The Future. A Member of the Society of Children's Book Writers & Illustrators (SCBWI).